The presence of moisture, staining, or visible water means there is a leak. However, you don’t have to wait until pipes become leaky to take action. By preventing leaky pipes, you can avoid serious damage and the need to call emergency plumbers in the middle of the night. Wear and tear associated with leaks is often caused by stress. Does this sound familiar? Stress can do a number on the human body and is not healthy for pipes, either. Even if you don’t see signs of water damage, you can do the following things to ensure your plumbing stays in working order. A water pressure gauge costs just a few dollars and can be purchased at a home supply store. By attaching it to a faucet or other water outlet and opening the supply valve for that outlet, you can get a pressure reading. A normal reading is somewhere between 50 and 75 pounds per square inch. 1 If the reading is too low, then there might not be enough water flow; a high reading can trigger water hammers and pipe movement that increases the risk of leaks. Water regulators and pressure reducers can effectively adjust the water pressure to safe levels. Hard water contains high mineral content, causing calcium, magnesium, and other minerals to potentially accumulate inside pipes. There is a direct relationship between restricted flow and increased water pressure. Hard water can cause pipe, fittings, and joint corrosion as well. 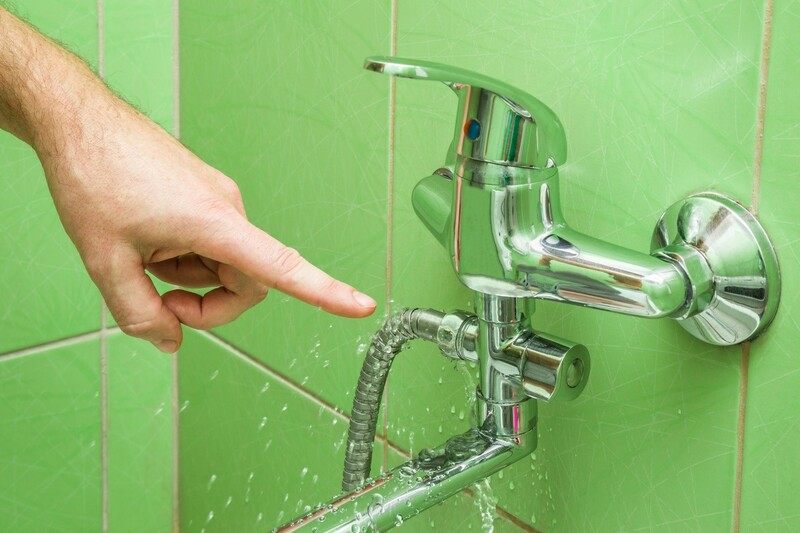 Installing a water softener is effective at preventing leaky pipes. Available in the form of an attachable appliance, the water softener contains a salt tank to collect minerals and wash them away; these are removed by creating an ion exchange between the minerals (positively charged) and resin beads within the softener (which are negatively charged). Disconnect, drain, and store garden hoses indoors. Leave the heat on when away from home. Let the faucet drip to relieve pressure. Keep cabinet doors open, so interior warmth can reach pipes. Seal holes or cracks near pipes with caulking. Apply heating tape to an exposed pipe. Insulate basement, crawlspace, garage, and attic pipes with foam rubber or fiberglass sleeves. In many cases, you can prevent a pipe from bursting. It’s often best to rely on professional plumbers than attempt a fix yourself, especially if you have no experience repairing or replacing pipe. Electric water sensors can shut off an appliance such as a washing machine if a leak or moisture is detected. However, a plumber who knows how to fix a leaking pipe joint can adjust the part or replace it before the leak causes irreparable pipe damage or a flood. For more information on Speedy Plumbing’s services in the Vancouver area, to schedule an appointment, or to receive 24/7 emergency service from experienced plumbers, call today at (604) 990-9735.